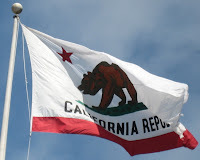 Here is a short collection of articles on the hedge fund industry in California. I am always looking for more valuable online tools and resources to add to these geographical hedge fund guides to the hedge fund industry. New: If you are looking for a list of hedge funds which you can purchase, I have found an in-expensive one which can be accessed here. If you are looking for specific details on San Francisco please see our recently published Guide to Hedge Funds in San Francisco. Here is a list of hedge funds that are based in the state of California: Hedge Funds in California. Article: After a heated controversial debate, the California Department of Corporations announced that California is abandoning a proposal that would have to require certain California investment advisors, such as hedge fund and private equity, to be registered with the State’s regulator. This measure ensured that California will remain one of the few states (along with New York and Connecticut) that would not require hedge funds to be registered with that state’s securities regulator. This article features some of the concerns and issues of setting up a Hedge Fund practice in the State of California. Some of the questions include: What are the Minimum Financial Requirement and procedure for setting up the fund? What are some criteria for accepting the potential hedge fund investors? And what is the process to become a Registered Investment Advisor (RIA)? California governor Schwarzenegger’s proposal of creating a retail rebate program that aims to pour 3.2 billion dollars into the development of solar energy industry in California has spurred interest among numerous hedge funds to invest in the solar industry and other related areas. Article: California has backed away from a controversial proposal that requires any hedge funds, which were not already been registered under SEC, to be registered under the California government. Due to this proposal, many funds have threatened to relocate to another state if California government passes the regulation law. This brief guide explained how to start a hedge fund business within the United States, especially within the States of California, Delaware, Connecticut, Illinois, New Jersey, New York, and Texas, which all have relatively lenient regulation laws in comparison to other States. The article touched topics from legal development process to promotional strategy to geographical difference in setting up funds. This is a helpful guide if you are looking to start a hedge fund in California. This article touches on the recent development and trend of hedge fund investments in the Green Energy market; include biofuel commodity trading, solar energy industry, carbon trading, and renewable energy credit trading, etc. Many hedge funds within California and the west coast are starting up or currently offering carbon trading or energy related funds. This website lists some of the upcoming Hedge Fund seminars and events around several U.S. cities, including San Francisco, New York City, Boston, etc.